Our team had the pleasure of attending the James Legal, ‘Don’t let digital eat you for lunch’ seminar at the Hallmark Hotel in North ferriby. Over 100 businesses attended the event hosted by James legals’ Nick Miller, to hear talks from Nick, C4Di chairman David Keel, Ricky Field of CBA Sadofskys as well as our very own Managing Director Alex Hall. Each of the speakers shared their stories of success, challenges and failure that they’ve experienced throughout their personal and professional lives, delivering an engaging and inspiring speech. Being a new group the media team has very little experience of these kind of events so for us it was great to be in a room with so many inspiring and successful people. During Alex’s speech which was titled ‘From Boothferry to Wembley in 12 rounds’ to reflect on the journey of how boxing & Hull’s St Pauls boxing academy, helped to change his life. 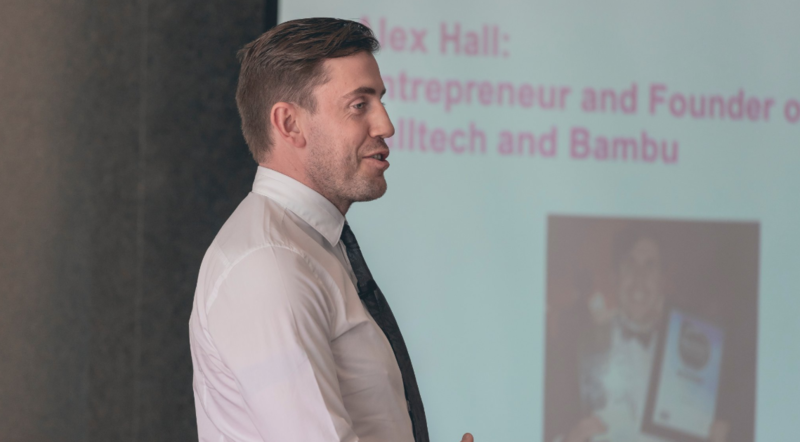 The talk covered a range of lessons learnt from boxing used to overcome challenges as a youngster and how the same lessons have benefitted Alex in business. These include how we have used innovation and marketing to disrupt the scaffolding industry and grow Bambu at a rapid rate, culminating in being the main shirt sponsor for Hull FC when they lifted the challenge cup at Wembley. 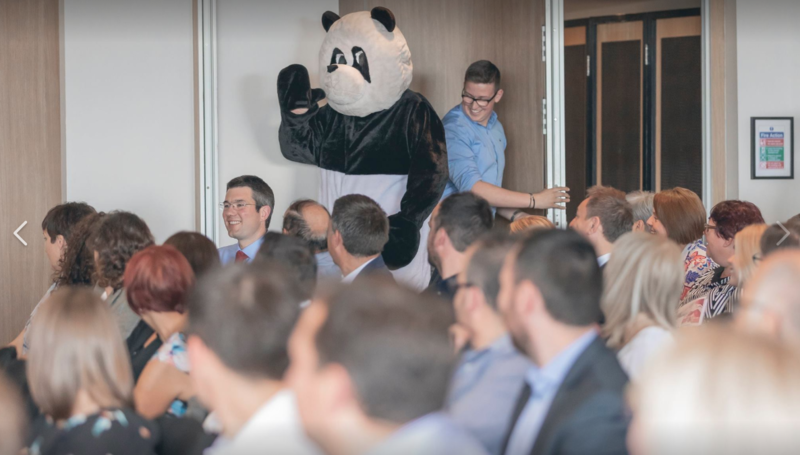 We were joined by Bam, the 7ft panda who is one of our Bambu mascots. Bam was a big hit with the crowd and added a touch of humour to the proceedings.